At Ando, we believe that hospitality is a team sport and it takes an entire crew to provide you with the genuine experience you deserve. In order to share the love, we have implemented a 10% service charge - so when you dine with us, please tip 10% less than you normally would. This service charge will be shared with all of our hard-working staff, including your server. Why have you implemented the service charge? We believe that hospitality at Ando is a team sport, and everyone should share the love. In sharing the love with the rest of the team that makes hospitality work, we wanted to be as transparent as possible with the guests that come in our doors and the communities we live in. Does this take money away from my server? This system does not take any money away from the server. In a traditional restaurant system there is a tip out required from the service staff for the supporting team. The service charge system takes away the obligation to tip out, and a portion of the service charge is returned to the server at the end of their shift. We thought long and hard about this. Other restaurants have removed tipping altogether and increased the price by 20%. 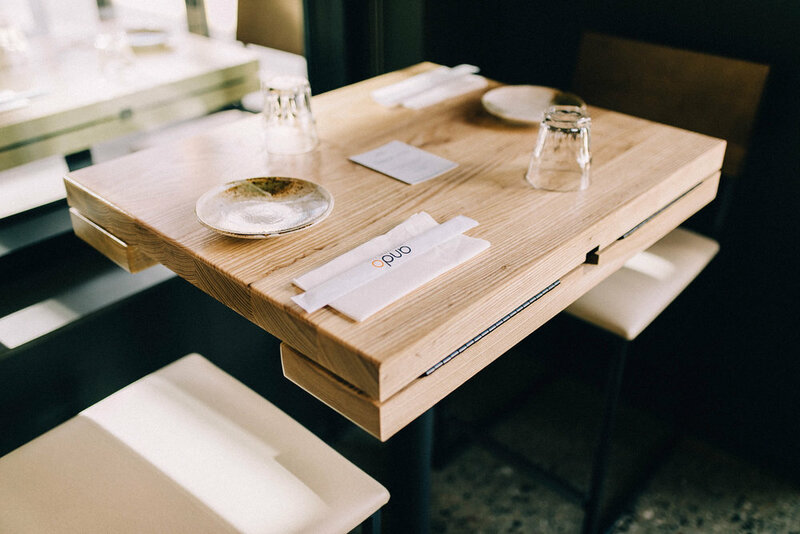 At Ando, we really like giving the guest an opportunity to be discretionary with how they rate the experience financially – so we came up with a way to allow the guest to still have control over the tip they leave. For any further questions, please reach out to us directly at andograndrapids@gmail.com. We value your feedback!